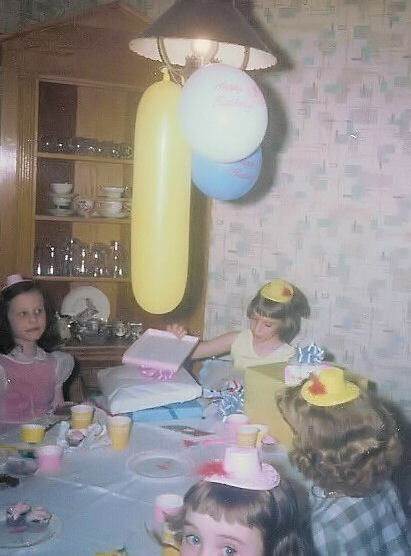 I am the one in the yellow dress. The one who is checking out the presents. Put on your party clothes. Get yourself a cool party hat. I am so jealous that you got to wear that smart looking party hat. Where is your Tiara? You should be treated like a princess all day long. All year really! Go enjoy your day and make the sun shine where you walk! I love cupcakes and will treat you to one at the Magnolia Bakery next tim ein New York! I think a halo is more in line! HAPPY HAPPY BIRTHDAY TO U!!!! Happy birthday, Lisa! You sweet thing you! 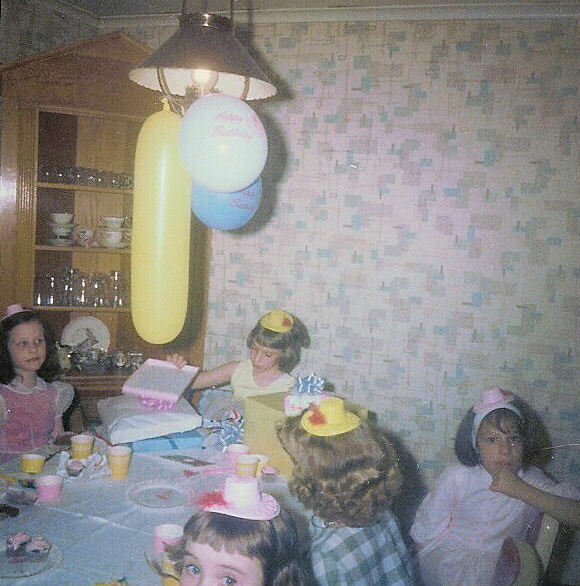 I have tried and tried to avoid the comment, but I'm so sorry, I just can't - the balloons. The one long and the two small globular ones. The balloons. I can't help it. THE BALLOONS!!! YIKES! How did I miss that! Whassup little six year old girl?! What's up with Winnie? That's what I say. She's the one that hung (hehe) them! Winnie ...weenie... maybe she got them confused! I say call Winnie out on her weenie balloons! I am chuckling to muself! good call anon! Maybe she had my dad on her mind!